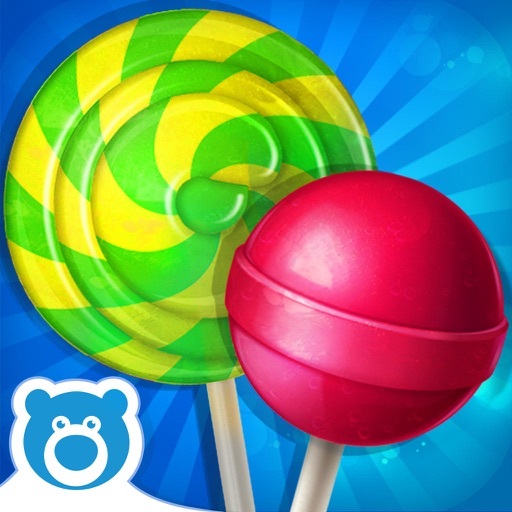 Lollipop Maker - by Bluebear by Bluebear Technologies Ltd.
Sunshine, lollipops & rainbows.....the best part? Easy! 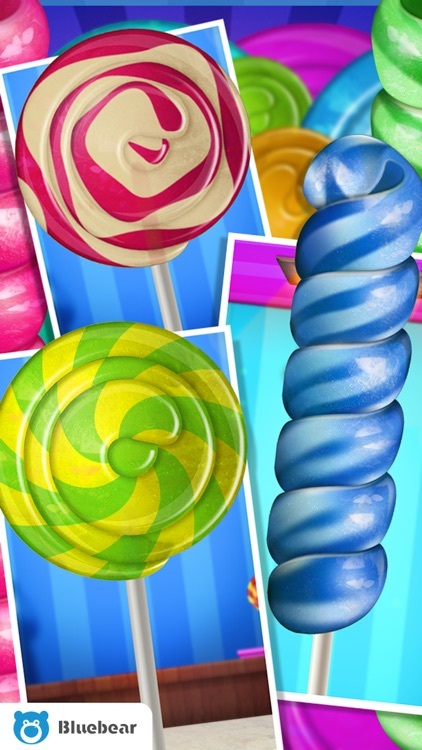 Lollipops! 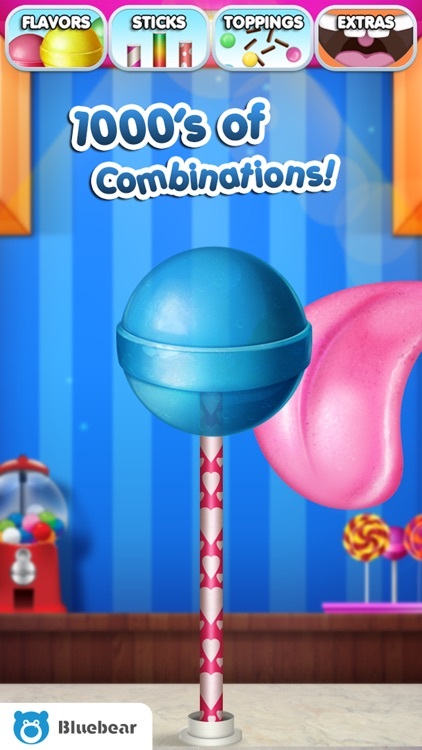 And with BLUEBEAR's latest game LOLLIPOP MAKER you can make your own! 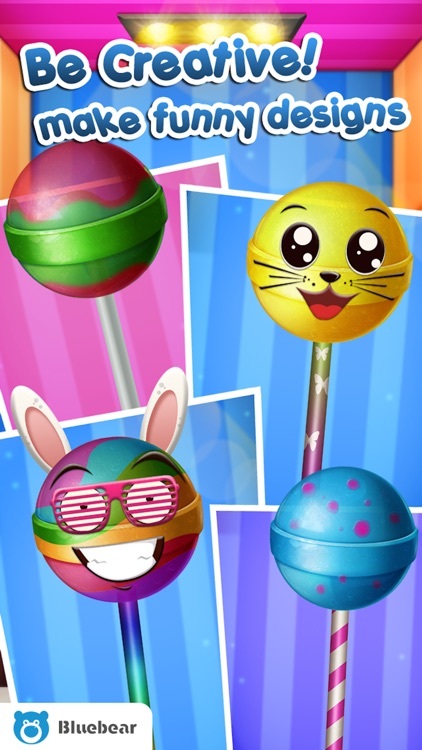 Love lollipops? Who doesn't?! 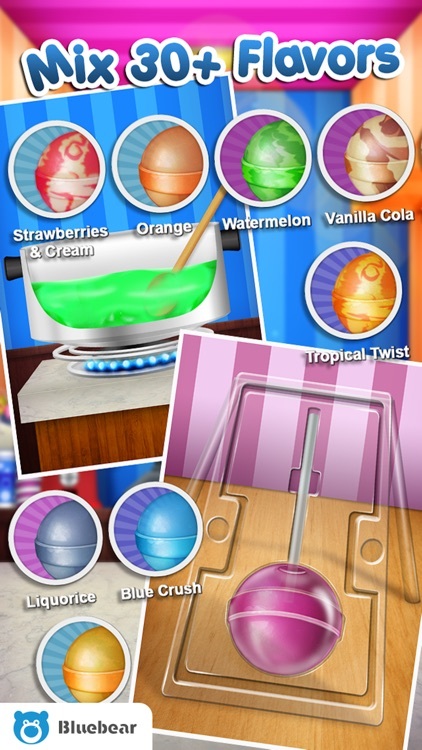 And now you can create your own favorites! 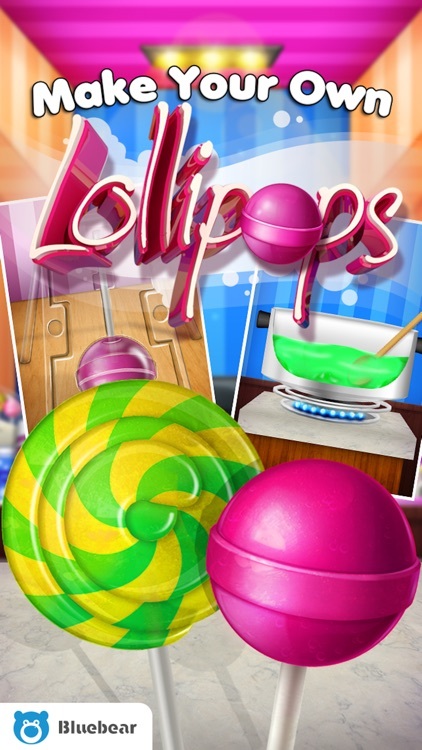 Mix up the ingredients, choose your favorite flavors, shape the lollipops and then dig in! 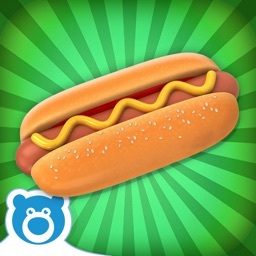 Don't forget to share your masterpieces with friends too! 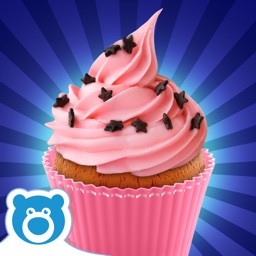 Check out BLUEBEAR's other yummy apps like ICE POPS, CAKE POP MAKER, CANDY PICK 'N' MIX and MANY MORE! 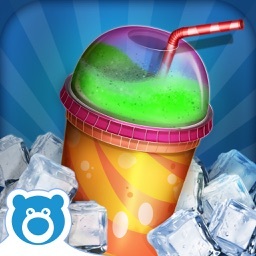 Our games have been downloaded over 30 MILLION TIMES!